When it comes to reinvention - of an organization’s products, processes, systems and culture - there is an increasing divide between organizations who are “all-in” with digital transformation (DX) and those who are just going through the motions. IDC’s research shows that 40% of organizations are making the strategic, organizational, technological, and financial decisions that are leading them to DX success in the next several years. These organizations are the Digitally Determined. The leaders of these organizations have the intestinal fortitude to make the tough decisions that are required to drive the organization ahead, and to champion a disciplined execution that aligns digital initiatives, technologies and roadmaps across the entire organization. A single enterprise strategy crossing all business and functional areas. A resoluteness toward organizational and cultural changes. A long-term investment strategy based on the principle that digital is inherently valuable to the business. A single digital platform to scale technology innovations.  At this year’s CIO Summit, IDC analysts and industry leaders will provide insights to help CIOs piece together a playbook for taking their organization from being Digitally Distraught to Digitally Determined. Join us at the CIO Summit 2019 to take your digital determination to the next level as you network and exchange ideas with peers and to benchmark yourself against those who are getting it right. "Quality speakers and sponsors. Seniority of attendees enables me to have meaningful conversations."